What Does Spiritism Reveal ? It reveals new and more profound concepts with respect to God, the universe, mankind, the spirits and the laws which govern life. Even more, it reveals what we are, from where we have originated, to where we shall go, and the cause of our pains and sufferings. Spiritism touches on all areas of human knowledge, of all activities and the behavior of Human Beings. God is the supreme intelligence and primary cause of all things. God is eternal, immutable, unique, omnipotent, supremely just and good. The Universe is a creation of God. It encompasses all beings, whether they be rational or irrational, animate or inanimate, material or immaterial. All the Laws of Nature are divine laws because God is their author. These Laws cover both the laws of physics and the moral laws. Beyond the physical world, which is the habitation of incarnate Spirits (Mankind), there exists the spiritual world which is the habitation of discarnate Spirits. Spirits are the intelligent Beings of creation. They constitute the World of the Spirits, which pre-exists and survives everything. Man is an incarnate Spirit in a material body. The perispirit is a semi-material body which unites the Spirit to the material body. The relationship of Spirits with Man is constant and has always existed. The Good Spirits do their best to lead us towards goodness and uphold us during our trials, helping us to support them with courage and resignation. Whereas the Imperfect Spirits try to incite us towards evil. All Spirits are created simple and ignorant. They gradually evolve intellectually and morally, so passing from an inferior order to more elevated levels, till they finally reach perfection where they will enjoy constant happiness. All Spirits preserve their individuality, before, during and after each incarnation. Spirits reincarnate as many times as becomes necessary in order to achieve their own perfection. The different corporeal existences of the Spirit are always progressive and never regressive. The rapidity of their progress, both intellectual and moral, depends upon the degree of effort made towards betterment. Spirits pertain to various orders, according to the degree of perfection they have attained at any one time: Pure Spirits, who have attained maximum perfection; Good Spirits, whose desire towards goodness predominates; Imperfect Spirits, who are characterized by ignorance, by their desires towards evil and by their inferior passions. Jesus is the guide and model for all Humanity. The Doctrine which he taught and exemplified is the most pure expression of God’s Laws. The morality of Christ, contained in the Bible, is the indisputable itinerary towards progress for all mankind, and its practice is the solution for all human problems. Man has free-will so as to act, but must respond for the consequences of his actions. The future life reserves penalties or compensations compatible and in accordance with Man’s behavior while incarnate, as to whether or not God’s Laws were respected. Prayer is an act of adoration towards God. It is contained within Natural Law, being the result of an innate sentiment of Man, just as the idea of the existence of a Creator is also innate in Man. Prayer helps Man to become better. Those who pray with fervor and confidence find themselves to be stronger against the temptations of evil, and God sends them Good Spirits to assist them. This is help that is never denied to those who ask with true sincerity. 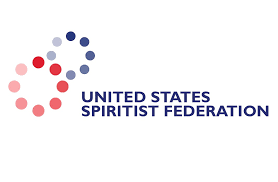 Spiritism can and should be studied, analyzed and put into practice in all fundamental aspects of life, such as: science, philosophy, religion, ethics, morality, education and social life. The practice of Spiritism is held without any exterior cult, within the Christian principle that God should be adored in spirit and truth. There is no ministry within Spiritism, neither does it adopt or use in its meetings or in its practices any of the following: vestments, alcoholic beverages, incense, tobacco, altars, banners, candles, processions, talismans, amulets, sacraments, the making of promises and the paying of penances, horoscopes, fortune telling with cards or sea shells, pyramids, crystals, rituals or any other form of exterior cult. Spiritism does not impose its principles. It invites all those who are interested in getting to know them to submit its teachings to the test of reason before accepting them. Mediumship, which permits the communication of the Spirits with Man, is a gift which anyone can have, independently of whatever doctrinal guidance they may choose to follow. Spiritist Mediumship is only that which is practiced based upon the principles of the Spiritist Doctrine and within Christian morality.